How many times have you been facilitating a learning experience with a group of teachers, docents, or public visitors in the galleries, and the best ideas or questions come from someone in the group? This is a pretty regular occurrence for me, as visitors and students bring new noticings, insights, and wonderings to the process of experiencing a work of art. But I wonder how many times we neglect to solicit the ideas, thoughts, and questions of visitors and learners in museums. Are the “solutions to our greatest problems” simply waiting to be found in the crowds of people that enter our doors every day? What are some ways we might tap into the “power of the crowd” to drive forward our work as educators? 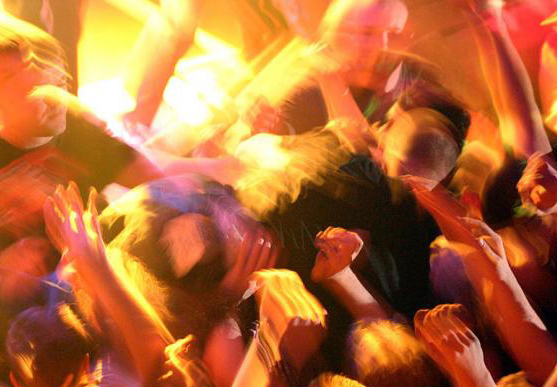 So what is crowdsourcing anyway? There are several definitions of “crowdsourcing” out there, but the popularity of the term seems to have originated in an article written by Jeff Howe in Wired Magazine back in 2006 called “The Rise of Crowdsourcing.” The use of the term — and the concept — has exploded since then, with cultural and corporate phenomenons such as American Idol, Wikipedia, Flickr, Amazon, and even the New York Times using crowdsourcing strategies to create, organize, share, filter, judge, or sell their content and products. Check out 4 great examples of the most recent social crowdsourcing projects. At the core of most crowdsourcing is an open call to a diverse, heterogeneous group for their involvement in a task, inviting them to bring their experiences, what they already know (the ‘wisdom of the crowd’), and their likes & dislikes to the process. Customers, consumers, and audiences now become potential partners or creators — part of building something new. With the internet and social media making it easy to gather a ‘crowd’ of millions online at no cost, the strategy of crowdsourcing has become largely based on technology. 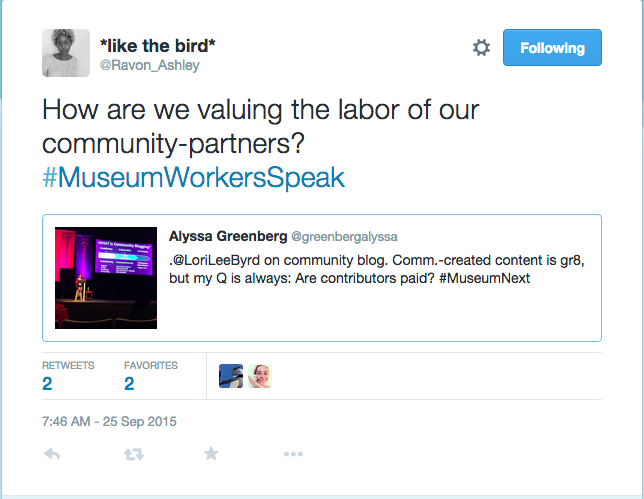 How can we bring crowdsourcing into museum teaching? Generate some data: Engage your participants (students, teachers, visitors) in a brainstorming process focused on a single task. For example, you might ask a group of visitors on a tour to come up with as many questions as they can about a work of art we have been exploring. After each individual generates a list of interesting and creative questions, they get into groups of three to share their questions and decide on the three best questions from their group. Each group writes these questions down on individual slips of paper. Crowdsource it: Now you have some data to be crowdsourced … let the craziness begin! Each participant should have a slip of paper in their hand with a question written on it. The group stands in the middle of the gallery, and they are asked to rapidly exchange their slips of paper (emphasis on rapidly). After the facilitator says “stop,” people pair-up, read the questions they have, evaluate them, and then each pair works together to assign points to their questions. We usually ask each pair to assign exactly 7 points to their two questions (meaning that if one question gets a 5, the other gets a 2; or one can get a 7, the other a 0). We do this rapid exchange and scoring for several rounds, adding some fun twists to the exchange process (participants might be asked to dance as they exchange slips of paper … something to keep it silly is always good). See what surfaces: After several rounds of scoring, participants add up the total score, and now you can see how the group filters, organizes, and evaluates the data they were provided. People can stand in a line according to the total score of the question they have, and we begin to see what are the most important ones to bubble to the surface that day. Present the top three or top five items to the group. Act on the results: It is important not to stop there. Do something with the results of this process. If you uncovered 3 really juicy questions about a work of art, bring those questions to the work and spend some time thinking deeply about how you might respond to them. During a recent teacher institute at the Santa Barbara Museum of Art, we asked a group of educators to crowdsource some prototypes for new ways the museum could engage its community, and we then focused on the top three ideas and envisioned how they might be enacted through a more extensive process. I always feel like the success of any participatory strategy hinges on whether it goes anywhere or leads to something new. For public crowd-curating, I think much of the success depends on people having the benefit of seeing their input manifested in the product or exhibition itself. 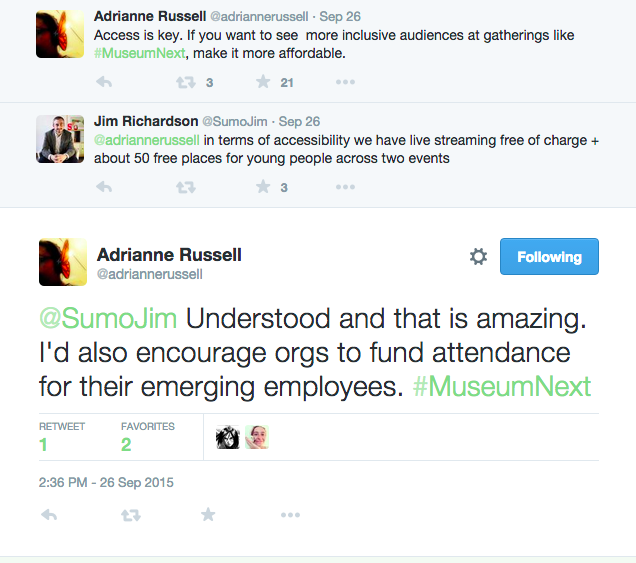 Have you experimented with any crowdsourcing in the galleries? What are some things we might learn from crowdsourcing tactics, both in-person and online? 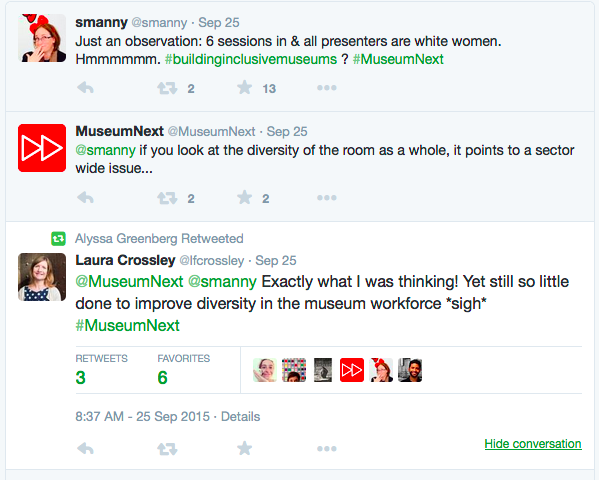 Are there ways we can push these strategies into more public, social learning experiences in the museum (other than exhibition curation & design)? Stay tuned for updates as I experiment further with crowdsourcing in the art museum.